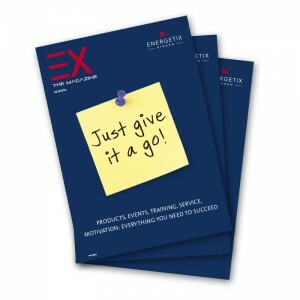 Did you know that the current 44-page EX Magazin is also available to order? The informative magazine is ideally suited for telling interested people and prospective customers more about the company. ENERGETIX business partners are able to acquire the current issue in practical sets of ten (Article Number PP127EN-1). We wish you lots of fun reading the magazine and presenting it to your customers and contacts.